By Rail- Howrah and Sealdah near Kolkata and New Jalpaiguri, close to Siliguri, are key railway stations in the state covered extensively by rail. By Railway- An extensive road network covers the entire state. A number of National Highways and State Highways crisscross the land. West Bengal is bestowed with brilliance in every respect. 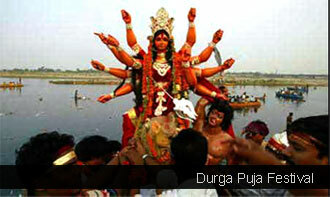 Be it nature, culture, arts, traditions and thinking; Bengal is ahead of its counterparts. This is not a new phenomenon for the region. Historically, the region was referred to as Vanga in the ancient epic Mahabharata. In its beginning, the state was inhabited by the Aryans and later on in the 3rd century, the state was occupied by Mauryans in the 3rd century BC before being overthrown by the Guptas. For three centuries from around the 9th century AD, the Pala dynasty controlled a large area based in Bengal and including parts of Orissa, Bihar and modern Bangladesh. In medieval period, the Hindu region of Bengal saw the entry of Islam with the arrival of Sufi missionaries in 12th century. The Banga state saw first Islamic control under the rule of Qutb-ud-din, first of the sultans of Delhi, at the end of the 12th century. Post this development, the region saw the power struggle between the local landlords and foreign Islamic rulers until the Mughals entered here with the motive of ruling. Emperor Akbar in 16th century brought the area under Mughal territory. During the same period, the British established their trading post for the English East India Company in Calcutta. Following the death of last powerful Mughal emperor Aurangzeb in 1707, Bengal became an independent Muslim state. The trading post in Kalikutta or Calcutta soon became a flourishing post. This attracted Siraj-ud-Daula, the Nawab of Bengal at Murshidabad to annex this trading city. The year ahead, Robert Clive, the British Major General establish the military and political supremacy here by winning the historical Battle of Plassey in 1757. Clive was supported by Siraj-ud-daula’s uncle, Mir Jafar, who commanded the greater part of the Nawab’s army. He was rewarded by the title of Nawab, but soon after the Battle of Buxar in 1764 was fought in which the British took full control of Bengal. From then, Bengal became a British territory and also a center of political power till the time the British provincial capital was shifted from Bengal to Delhi, the much safer zone in 1912. The state was also a center for Indian independence wherein thousands of Bengalis stood against the imperialistic ambitions of the British. In 1947, the western part of the state became a part of India, whereas east Bengal was given to Pakistan. This prominent region later in 1971 became famous as an independent country of Bangladesh. Geographically, the state is diversely bedecked with the Himalayas in the north and the Bay of Bengal in the south. In fact it is the only Indian state to be linked with Himalayas and sea. The state shares its borders internationally with Nepal, Bhutan and Bangladesh and domestically with Bihar, Jharkhand, Odisha, Assam and Sikkim. The dooars floodplains are famous for tea and timber produce. The state is also famous for world heritage site of Sundarbans reserve. It is a national park, biosphere reserve and a tiger reserve in the marshy mangrove deltas. Here, one can easily find the famous Bengal Tiger in the diverse eco system. Culturally, the state is most diversified and culturally enriched destination filled with numerous surprises. Here, the culture has its root in art, music, literature, drama, theater, and cinema. The remarkable impact on West Bengal’s culture is definitely accredited to Kabiguru Rabindra Nath Tagore. Besides his remarkable poetry, plays, short stories and a unique Vishwa Bharti University in Shantiniketan, this Nobel Peace Prize awardee also gave India its National Anthem, ‘Jana Gana Mana.’ Another Bengali poet, Bankim Chandra Chattopadhyay created ‘Vande Mataram’ the national song of India. Art is etched in the heart and soul of Bengalis. May be that is the reason why the people excel in every art of life. Even festivals here are bestowed with a lot of colour and vibrant appeal. Must see festival here is Durga Pooja, during which whole of West Bengal drapes celebratory attire to welcome the presiding deity of Goddess Kali. 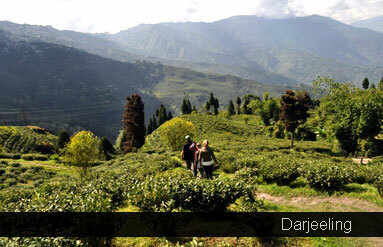 Another cultural attraction of West Bengal is the presence of the oldest hill train in Darjeeling. This is the world heritage site under Mountain Railways of India; exhibiting ahead of the times approach in order to make the upper reaches of the state accessible for people. The cuisine, dance, drama, arts and legendary personalities here depict the futuristic approach of Bengalis. This thought process of West Bengal is seen as a mirror of evolving Indian society; which makes it an enriching destination. Hotels – West Bengal is an incredibly fascinating destination with equally incredible hospitality options available in the different districts of the state.